Here is a small sample of our lights. We have thousands of lights to choose from. There is a light for everyone and every room. 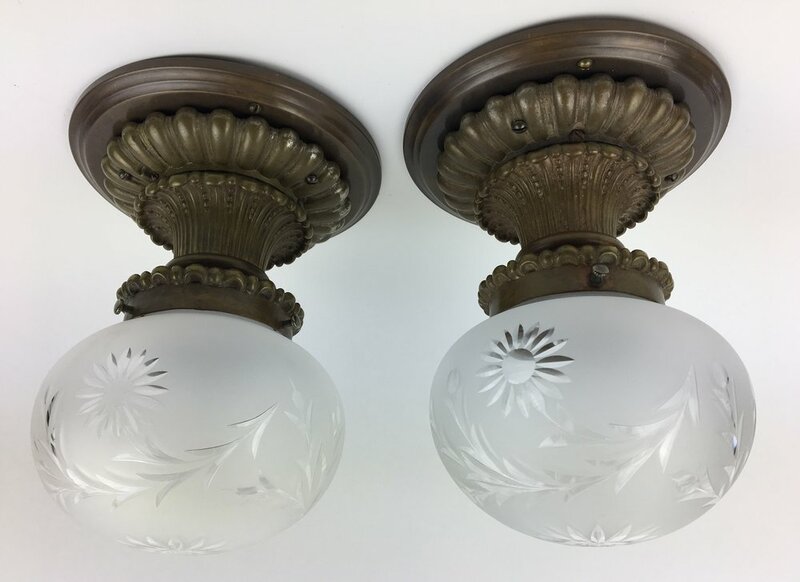 Quantities of fixtures and wall sconces will be shown when fixture is highlighted. All lights restored in their original patina. All lights sold ready for installation. Measurements of hanging lights are "body" only as finished length with chain per client request. H-32"max D-15" $995ea. 2 available. Original rods can be shortened per client request. 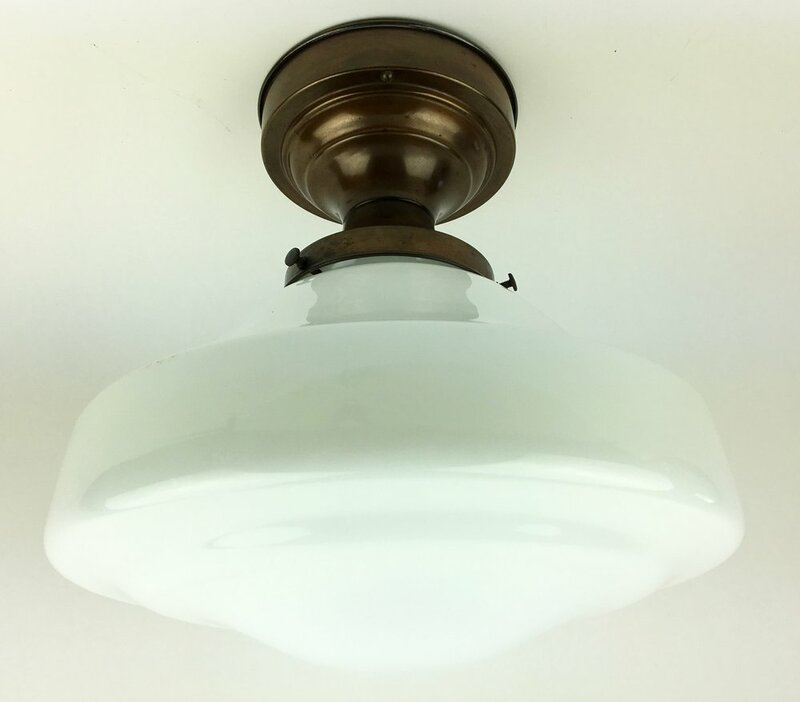 All measurements are taken from the outermost area of the sconce. All measurement are taken from the outermost area of the sconce. H-8" W-5" D-6" $695pr. 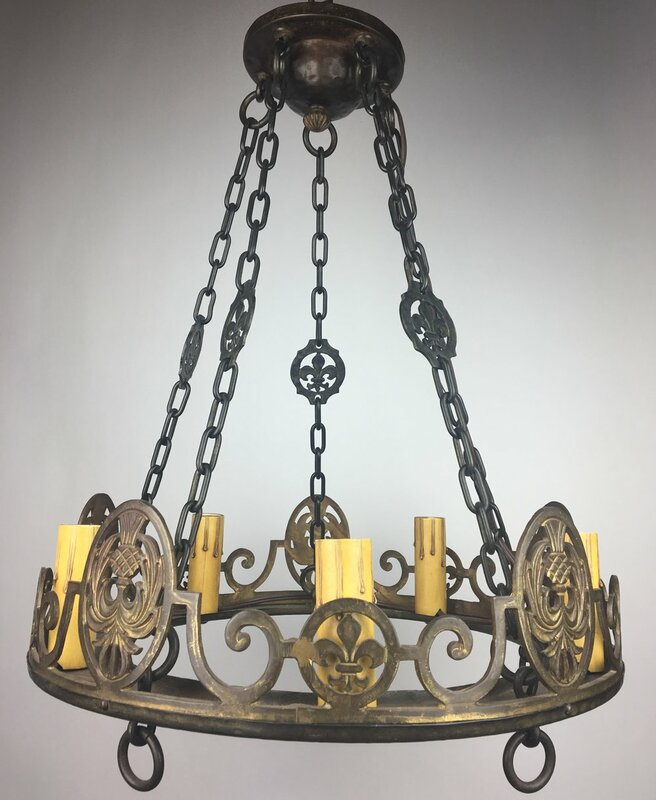 3 pr available, 2pr original copper patina, 1pr original copper and old dark paint. 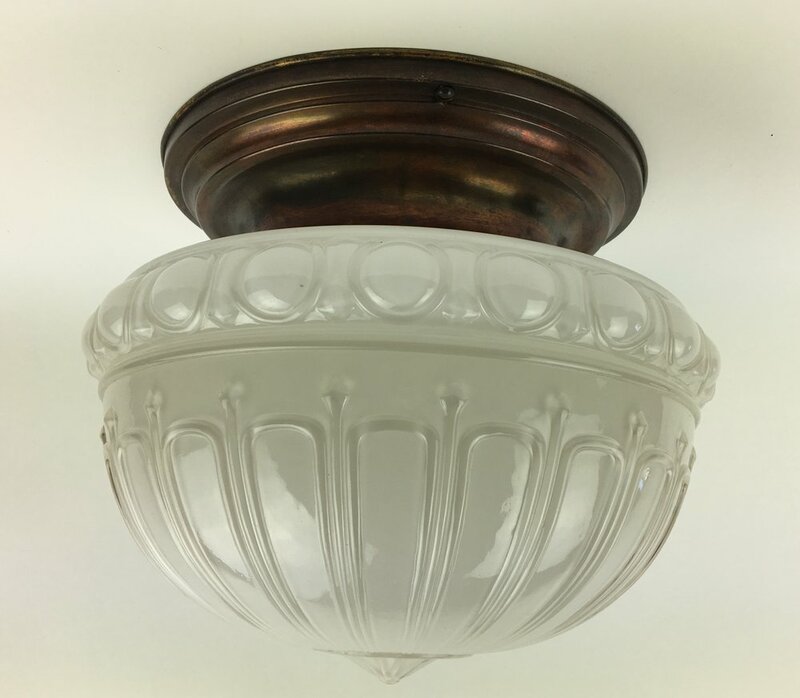 Many of these flush mounts can be changed to a hanging pendant. Pricing difference reflected when "hanger" chosen.